Don’t you hate how long it takes to gather wood? With an axe and a will you can change all of that torture once you download this mod. 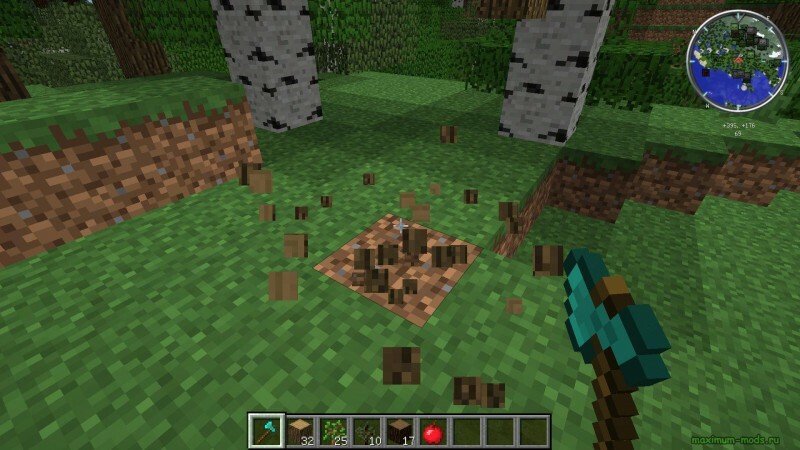 This mod adds one simple element to the game: axes cut down all wood touching the wood block you cut down. So, the next time you see one of those twenty block high monstrosities, you won’t think of how much work it will be, you’ll think of how much wood you will get. You can also mess around with the config file to change things like what’s considered a tree, how many leaves the trees need to be considered a tree, what an axe is, and whether or not you need an axe. So, with mods that add axes into Minecraft like IndustrialCraft2, or mods that add in trees like Forestry, you can make sure that you will be able to use all of your axe items, and cut down all of your trees.